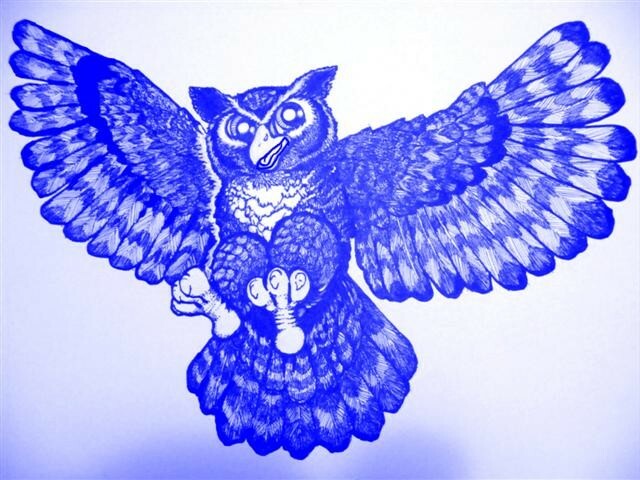 Upton Elementary's Annual Open House will take place this Tuesday, March 24, from 6:30-8:00 p.m. Please come and check out the work your children are doing! The Book Fair will take place on Monday and Tuesday in the Media Center. Students will have an opportunity to shop for books during the school day. This event is also open to everyone during our Open House on Tuesday evening from 6:30-7:30 p.m. This Wednesday, we will be having a Late Start. The first bell rings at 9:20 a.m. with school starting at 9:25 a.m. The end of the 3rd Marking Period is on Friday, March 27. Report Cards will be going home on Thursday, April 2. I know I sent this out in a previous newsletter, but please take the time to complete this survey if you have not already done so. This information is extremely important to help us plan for next school year. Please be assured that your responses to this survey will be anonymous. Your honest opinion is appreciated. Thank you for your time and attention to this matter. Please complete a survey for each one of the schools that your children attend before March 31, 2015. Any parent interested in being a PTA Officer for next school year should contact Mr. Jeff Eisenberg at jeff2762@gmail.com before April 1. He is willing to answer any questions you may have and tell you what is required for each office. Please remember to drop students off at school no sooner than 8:15 a.m. unless they are on Safety or Service Squad, here for the breakfast program, or attending Latchkey. Students should be picked up from school at 3:30 p.m. unless they are attending an after school program or Latchkey. 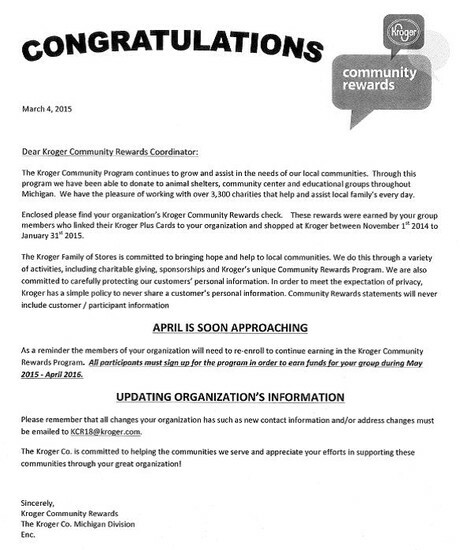 Please see the letter below as a reminder to re-enroll in the Kroger Community Rewards Program!